Ms. Jones has read aloud Pete the Cat: I Love My White Shoes by Erik Litwin several times at large-group time. The book tells the story of a cat whose new white shoes change color as he steps in different types of messes. The book uses repetitive phrases and songs. Ms. Jones has also placed a copy of Pete the Cat: I Love My White Shoes in the story area of the classroom so the children can read it independently and with peers. Ms. Jones has read aloud many books at group time so the children are aware of the meaning of print and how books are used. Felt board activities have also been used in the classroom before this lesson. Small group read-aloud of Pete the Cat accompanied by a felt-board activity. Children move colored shoes to a felt board, as described in the story. This is a 10- to 12-minute activity. The felt pieces for shoes are created using one piece of felt for the front “pair” and one piece of felt for the back “pair” of shoes for the cat. Felt shoes are labeled with color words in English and Spanish. To introduce the small-group activity, Ms. Jones models the activity during large-group time. As she reads the story of Pete, the cat, she places corresponding colored shoes on the felt cutout of Pete as his shoes change color during the story. Although the felt board activity does not address the benchmark directly, it is included in this lesson because it is an important visual strategy that can help children remain engaged with the plot of the story. 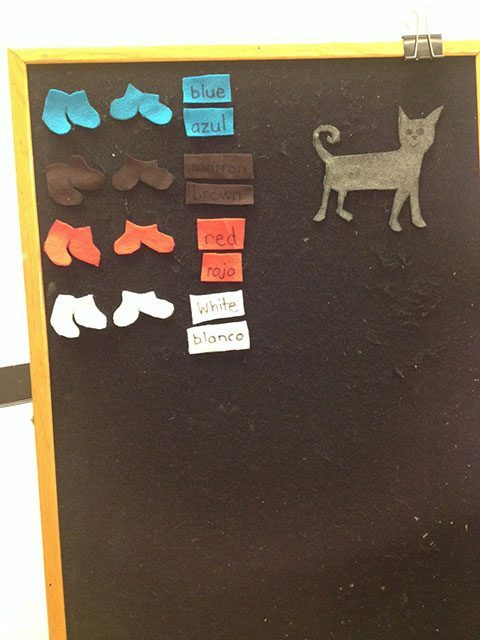 While still at large group, for the last verse of the story, Ms. Jones chooses a child to demonstrate putting the correct color of shoes on the felt board. When child places the correct color of shoes on the felt board, Ms. Jones says, “Let’s show our friend that we are proud of his work by giving him a thumbs up!” Children participate by showing a thumbs up. Ms. Jones dismisses children to centers. One of the centers is the felt board activity at a table. Ms. Hernández leads this center. The table has the book, a felt board with the cat on it, and colored felt cutouts of shoes on a tray. Ms. Hernández reads aloud the story and asks questions as she goes. As Ms. Hernández reads the story and leads a discussion, the children take turns placing the corresponding colors of shoes on the felt cat. Ms. Hernández prompts the children to initiate questions about the book after she reads the story and leads the activity. Children continue to ask each other questions. Ms. Hernández provides encouragement and assistance when necessary. 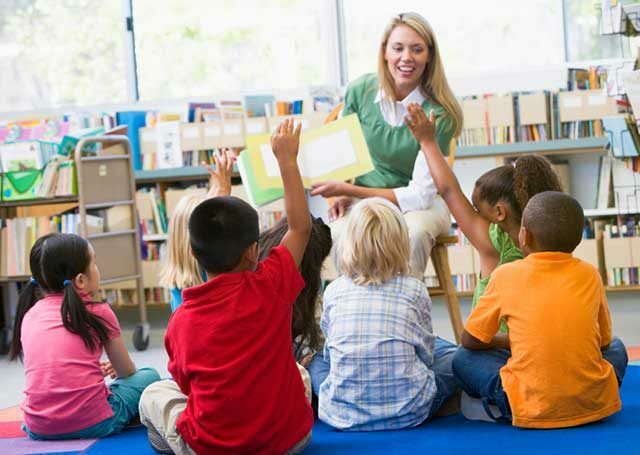 This center activity is available for children to return to throughout the week so they have the opportunity to experience continued success in the activity. Throughout the small-group lessons, Ms. Hernández collects anecdotal observations of the children answering and asking questions. She writes down the quotes to include in their portfolios. Ms. Hernández shares the data with Ms. Jones. As children demonstrate success with the activity, Ms. Jones documents that they are meeting the benchmark. When children experience difficulties answering and asking questions, Ms. Jones plans additional lessons targeting this benchmark. This small-group lesson provides each child with multiple turns to practice meaningful question-and-answer dialogue. During other parts of the day, Ms. Jones creates additional opportunities for children to practice relevant questioning and answering (e.g., at snack time she asks “Would you like bananas or crackers for snack today?”). Child can successfully respond to basic comprehension questions (e.g., “What color are Pete’s shoes?”) but is not yet able to answer application questions (e.g., “What would you do if your shoes changed color?”). Teacher differentiates instruction by asking only basic comprehension questions to this younger child. 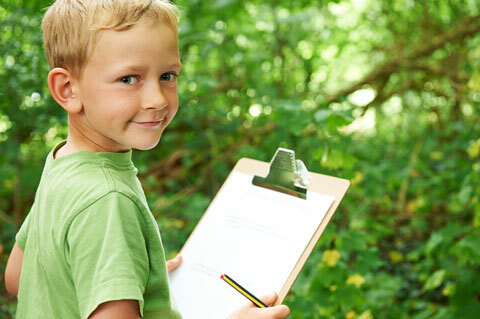 Child has the opportunity to observe higher level questions and answers from older children in the class. The teacher presents application questions later in the school year, when this child has been exposed to more models of higher order questioning. Child speaks Spanish at home and knows words for colors in Spanish but not in English. 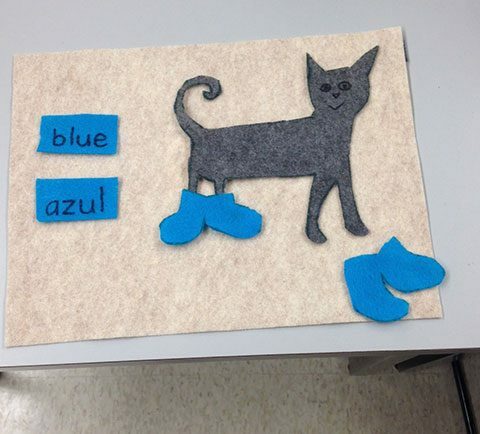 Teacher models color words in both Spanish and English during the felt board activity (e.g., “Here are Pete’s red shoes. Red, rojo—zapatos rojo—red shoes.”). 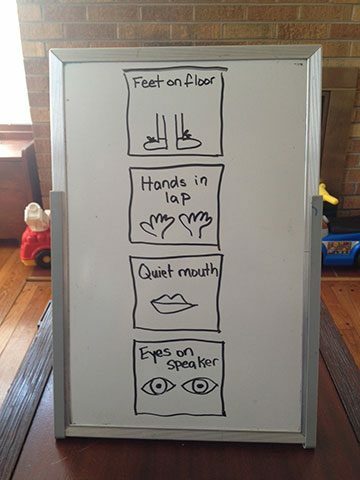 Teacher uses strategies to support child’s motor abilities. 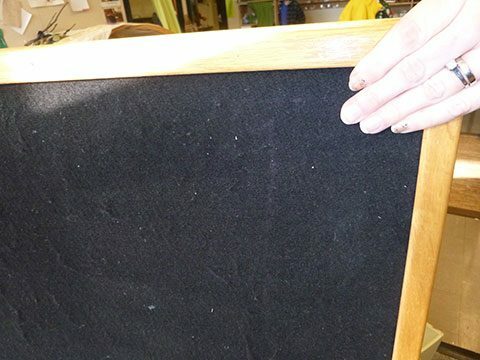 While at small group, teacher places the felt shoes near the child’s right hand and stabilizes the felt board so the child can successfully place the felt on the board. AAC device option: Teacher programs the AAC device with words and icons for the four main colors depicted in the book. Using the AAC device, the child participates in answering simple questions (e.g., “What color shoes is Pete wearing on this page?”). Low-tech option: Teacher provides a laminated card with 10 icons (words and pictures) of vocabulary related to the lesson (red, blue, brown, white, strawberries, blueberries, mud, wet, Pete, cat). The child can point to the icons on the card to participate in the conversation. Other children in the group can use the cards as visual prompts to include more details in their responses. Instead of using only one large felt board during the small-group activity, the teacher provides each child with a small felt board. Children do the activity together working on their own boards. This reduces wait time and enables the child and his peers to be fully engaged during the small-group activity. Teacher creates a visual support card for this child, taped to his table area. It instructs the child to demonstrate the following appropriate behaviors while waiting for a turn: (1) feet on the floor, (2) hands in lap, (3) quiet mouth, and (4) eyes on the speaker. 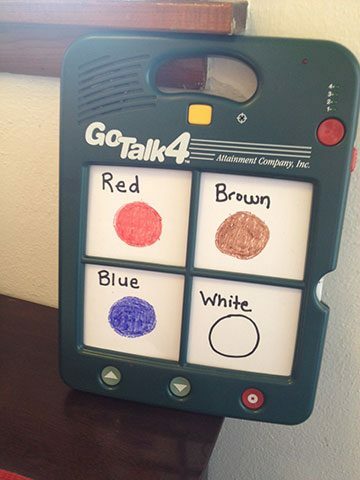 The teacher refers to this visual support during small-group time to remind the child of appropriate behavior. In the interest of providing inclusive supports and because these behavior guidelines apply to all children in the class, the teacher should provide everyone at the group with a reminder card. This lesson plan was supported, in part, by a leadership grant from the Office of Special Education Programs (Project BLEND, h425D110037) and a grant from the Illinois State Board of Education for the Illinois Early Learning Project at the University of Illinois at Urbana-Champaign (D6548). Opinions reflect those of the authors and do not necessarily reflect those of the granting agencies.